1.1. A tour request can be made by E-mail or on the website. “Zig Zag Holidays” considers the reservation definite upon receiving a duly filled in booking form and the necessary deposit. The sum of deposit is 30% of the total tour cost and is determined in the Tour contract. – In case the payment is not received in due time Zig Zag reserves the right to consider the reservation canceled. – After balance payment for a reservation, the Client gets a voucher with indications of the services paid for in the office of “Zig Zag Holidays”. The terms and conditions for each organized tour in any destination abroad are stipulated in separate documents, focusing on terms and formalities about visas, vaccinations, equipment, etc. according to the specific traveling conditions of the country. The terms and conditions are an inseparable part of the tour contract. 2.1. Prices of accommodation bookings and tour packages are valid for the current calendar year (if not indicated otherwise), all holiday and special offers and weekend prices make exception from the determined prices. The currency /Leva or Euro/ as well as the services included in the price are indicated in every offer description. 2.2. Payments should be made in leva or euro cash, via internet or by bank transfer to the bank account of Zig Zag Holidays. 2.3. Unless indicated otherwise, the sum of the deposit is 30% of the total cost. The deposit is paid in the moment of signing the present Tour contract. 2.4. Balance payment: 5 days prior to departure, unless indicated otherwise. 2.6. Changes in the price are possible due to rises in the fuel costs, changes in fees or taxes and exchange rates in relation to the organized tour, which have occurred after conclusion of the Tour Contract. No changes in the price can be made less than 20 days prior to departure date. **** In case you want to pay the whole sum cash, then we can block the sum of the deposit in your credit card account (you will have to give us an authorization for the purpose). After you have paid everything cash in our office upon arrival we will unblock the sum of the deposit and consider the payment as completed. 2.8. Total payment – The rest of the sum can be paid again either by bank, with credit card or in cash upon arrival (for further details regarding deadlines please see the general conditions of Zig Zag Holidays). 3.1.1. To provide all tourist services, paid for by the Client, in accordance with the present contract. 3.1.2. Zig Zag Holidays can make for the client the obligatory medical insurance for traveling abroad “Travel Assistance and Personal Accident Insurance” using the network of QBE International Insurance Company. 3.1.3. 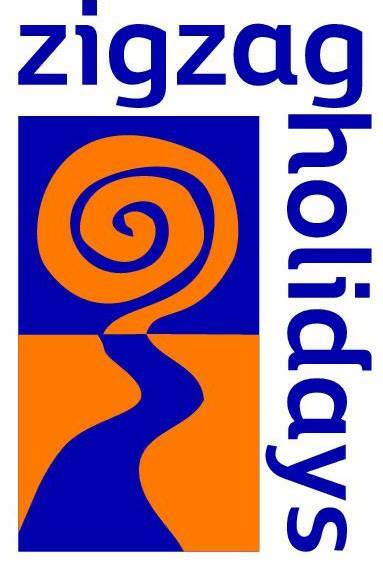 Zig Zag Holidays has an insurance contract “Tour operator’s liability” according to clause 97 of Bulgarian Tourism Law with “QBE International Insurance Ltd Sofia“, Sofia, 8 Iskar str., Certificate № 065 0000145. This certificate is to be attached to the tour contract prior to departure. 3.1.4. The Tour operator guarantees the safety the client’s personal data in the matter of not using them for other purposes (e.g. marketing) without the permission of the client. 3.2. The Tour operator has the right to refer to section 6 in case of changes and cancellations. 3.3. The Tour operator reserves the right to cancel the contract without any consequences, in case the Client fails to make the final payment within the deadline and by the terms of payment, stipulated in the contract and thus does not carry out his contract obligations. The payment is acknowledged by a duly drawn up document. If the Client has paid the deposit for the tour and has not made the balance payment in due time, the tour operator retains the deposit. 3.4.1. The Client is obliged to provide all personal documents needed for traveling abroad /valid passport, etc./, which must be drawn up in accordance both with the laws of the travel destination and the Republic of Bulgaria. 3.4.2 In case the Client is minor of age and is going to travel abroad with his/her own passport, a notary certified declaration signed by both parents has to be presented to the effect that they agree with the departure of the Client to the travel destination on the departure date (if the under-age Client is going to travel with one of the parents, he/she has to present a notary certified assent of the other parent). 3.4.3. The Client is obliged to make a full payment of the tourist services within the terms indicated by the present contract. 3.4.4. The Client is obliged to abide by the laws of the country of destination. 3.4.5. In case the Client intends to travel to countries of higher risk of infectious diseases, he/she is obliged to get a vaccination or go trough prophylaxis according to the international medical regulations. 3.5.1.The Client has the right to transfer to another suitable person his rights and obligations in accordance with the present contract at latest 20 days prior to departure. In that case, both the Client and the third person are responsible to the Tour operator in solidarity for the payment of the total price of the organized tour plus 60 lv administration charge for the transfer, in case notified otherwise. The third person declares that he approves of the transfer conditions and he fully agrees with the contract and annex regulations and that he is aware of the transfer information before the date of the transfer. 3.5.2. The Client has the right to make changes and cancellations according to clause 5 of the Terms and Conditions. – force-majeure circumstances, as: war, civil disturbance, international conflicts, where one of the parties is involved, terrorist activity, natural disasters, delay or cancellation of flights, or any other event which is beyond the control of Zig Zag Holidays and our partners and could not reasonably be avoided or had not been provided for in the contract. 4.2. In case of failure to provide or inadequate provision of the services, described in the “Tour contract” on the part of the Tour operator, the Tour operator is liable to compensate the Client to the extent of the benefits missed or damages suffered. The limit of liability of the Tour operator in similar cases cannot exceed 100% of the total cost of the service. 4.3. The Tour operator reserves the right to cancel any tour prior to departure for any reason whatsoever, including insufficient signup, or if there are a force majeure circumstances. In this case, the Tour operator is not liable for non-fulfillment of the contract and a refund is due, except for the expenses already made /insurance, charges for returned airplane tickets, visa expenses etc/. These expenses must be duly acknowledged by proper documents. – any problems with the customs authorities upon leaving Bulgaria or entering the country of destination, caused by failure to deliver the necessary travel documents or any law-breaking committed. 5.3. In case of changes in the contract, the liabilities of the parties remain according to the last changes of the contract. In case of discontinuity of the contract, the liabilities of the parties will be discontinued after settlement of the financial claims. – If cancelled 30 days before date of arrival the client will be charged with а booking fee of 25 EUR. The client will not be charged with this fee if the trip occurs. – less than 6 days prior to departure: cancellation fee – 100% of the total tour cost. 6.2. For changes made less than 5 days prior to departure date: modification fee can be required by the tour operator in accordance with the changes to be made. 6.3. In case of failure to present at departure “Zig Zag Holidays” will retain the total amount of the tour cost as a cancellation fee. 6.4.If the Client quits the tour or the tour is discontinued by events beyond the Company’s control no refunds are to due by Zig Zag Holidays. 6.5. If the Tour operator makes a considerable change in some of the important clauses of the present contract, the Client must be notified immediately. The Client is bound to inform the Tour operator about his decision on the changes within 3 days after receiving the notice of the Tour operator. The Client guarantees that the telephone and fax numbers and e-mail address he has given in the contact can be used by the Tour operator for quick and reliable delivery of messages. The acceptance of the changes has to be certified by an annex agreement to the contract. In case the Client does not accept the changes, the Tour operator has to offer another tour at the same or higher/lower price with the corresponding additional payment or refund of the price difference. If the Client does not accept the offer of the Tour operator, he can cancel the Contract without having to pay any cancellation fee or compensation and the Tour operator has to refund sums paid by the Client within 7 days of the date of receipt of the deny-notice. Changes in hotels or places of accommodation with others of the same or higher category without changing the price or changes in transportation mean with other of the same or higher category or class is not considered a substantial change of the contract. 7.1. The Client, booking a Zig Zag Holidays’ tour is considered familiar with the risks and the inconveniences of adventure travel. Because of political and cultural differences, as well as the rougher natural conditions, traveling in certain regions of the world involves some inconveniences of daily character. 7.2. The Client is supposed to be aware of his physical condition and his ability to undertake the tour without any risk of incurring upon him any health problems and impeding the normal progress of the tour. 7.3. The Client accepts the tour leader’s authority and respects his decisions. In case the tour leader – representative of Zig Zag Holidays – deems a situation dangerous, even if it is included in the program, he can make changes as to avoid it and this could not be subject to claims. 8.1. Any disputes and claims will be arranged by consensus between the parties. In case no consensus can be worked out the disputes will be related to a competent Bulgarian court and judged in accordance relevant Bulgarian laws (The Obligations and Contracts Law). 8.2. In case of non-fulfillment or inaccurate realization of the contract’s conditions during the tour, the Client is bound to inform immediately the relevant supplier or the Tour operator in writing, as for the latter to be able to react on time with a view to the due taking of adequate measures as to the satisfaction of all concerned parties. 8.3. In case the claims of the Client regarding the quality of the provided services cannot be satisfied in the moment of providing the service, the Client has the right to present a duly drawn up claim to the Tour operator not later than 3 work days after the end of the tour. The Tour operator is obliged to announce his statement regarding the claim within 30 days after its receipt.